Today, Departure Day! I had a last breakfast with the kids before they left to school. At least saying goodbye easy, they had to catch the train. Time enough to shave, enjoy a hot shower, squeeze the last stuff into my luggage and check if I have all my paperwork with me. At 09:30, time to leave to the airport with Christine. Driving 75 km's and 45 min later we arrived at Brussels airport. Entering the departure hall we were both surprised. A long waiting line at checking, with only Chinese. Seems I was going to be the only non-Chinese on that flight? Whilst queuing for 45 min we could spot six other non-Chinese, so I wasn't going to be the only one. Nevertheless, seems I was going to be surrounded by Mandarin voices already the next hours, having a first trial in understanding what I learned from my Mandarin course. Time past and by the time we arrived to check-in Christine had to return almost to the office. I checked-in and we walked back to the car in the parking lot. Time to say goodbye ... Christine drove off, I looked down from the side of the parking lot and saw her a minute later joining the highway ... bye bye, hope to see you soon back! Read more about The very last day before leaving home! The preparation work for my mission in Xiamen is running at high speed. Fixing the last practical things is the easiest part. We also started with introduction calls with two of our client organizations in China. Our community project for the Xiamen Software Vocational College remained a bit silent; I assume this will kick off once we are on-site. Project details of my mission to Xia'men - 厦门 - in China disclosed! Read more about Project details of my mission to Xia'men - 厦门 - in China disclosed! Counting down for CSC to China - Logistics done! Time passed very fast the past week, going to China is getting close and real! My departure is coming closer to less then six weeks. I'm currently busy by running behind the closure of a complicated deal and simultaneously preparing my departure. This week I made good progress in the preparation. Since two weeks I was in touch with our travel agent in Canada to sort out the different alternatives to get to Xia'men and to come back. I compared departures from Brussels and from Paris, but at the end I decided to depart from Brussels and change flight in Beijing. The Paris routes had better departure times, but much longer connection times in Beijing or Shangai. 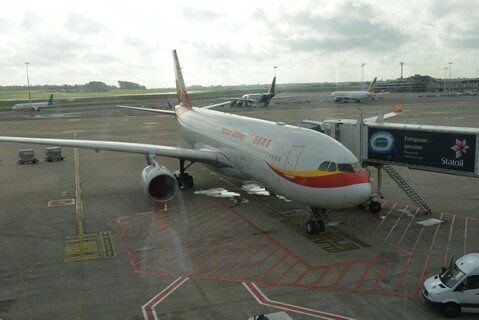 Last week I also submitted my visa application at the Chinese embassy in Brussels. The friendly people at the embassy checked the application form, the invitation letter and my passport. They asked for a copy of my flight bookings, as I applied for a visa with a stay for more then 30 days. Four days later I returned to the embassy to collect my passport with the visa. 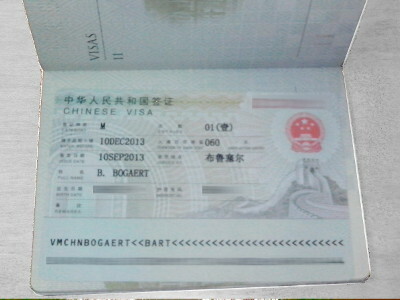 So, I obtained my 60-day Business Visa! A new milestone reached, tickets booked and visa obtained! Read more about Counting down for CSC to China - Logistics done! Counting down for CSC to China - 10 weeks to go! I’m counting down the weeks prior to departure for the IBMCSC project in China (see previous blog), along working through the CSC learning program with the other team members. Our first team call aimed to have the team members introduced to each other. The call was scheduled by one of our alumni mentors, who is going to be the coach for the team during the preparation sessions. However, I learned quickly that the ownership of this journey is with the team. It was the first time we were all hanging together on the phone, and with a bit lack of preparation work or a predefined agenda turned the call into a messy call. Luckily we agreed quickly during the first call on a schedule for the next calls and defined an owner for each of the next four calls. During the week it turned out that the owner of the second call was unable to join, consequently we headed towards the same scenario of having an unprepared call. Two days prior to the call I chatted with our alumni mentor and decided to take the initiative to give the call a structure. I drafted an agenda based on tens of mails received from our alumni mentor, from the CSC program manager, from our NGO partner, but also based on the CSC learning program we are working through. I kindly asked the team colleagues to be prepared for a discussion based on one of the frameworks from a module out of the CSC learning program. 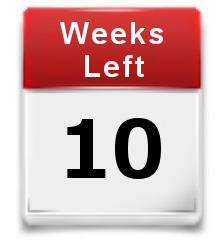 Read more about Counting down for CSC to China - 10 weeks to go! Catch-up enterprise application delivery, get a 100% Pure value for business! Are enterprise IT environments lacking behind the pace of changes happening in the consumer IT environment? Over the past years, the world of consumer IT changed drastically. Consumers manage nowadays the customization of their device through the installation of applications with a simple click from an application store. The ease of use has never been so great, resulting in a massive adoption by consumers. But, what about the easy of use in the delivery and exploitation of enterprise application? On the one hand side we see the adoption of enterprise cloud services, where business applications are used as a service. Not all organizations are prepared for such services, or have constrains for the adoption of cloud services. On the other hand, the standardization of IT is moving forward, which leads to the adoption of the appliances approach within enterprise IT environment. Network devices, such as switches and routers have been used for a long time. These were followed by data translation appliances and security appliances. Nowadays new appliances are launched, in particular in the area of data management and in the area of application management. Read more about Catch-up enterprise application delivery, get a 100% Pure value for business! CSC will take me to Xia'men - 厦门 - in China ! It’s official, It’s going to be China! The Corporate Service Corps (CSC) program for which I have been selected and blogged previously will take me to China in October of this year. The team I’ll be joining consists out of 12 people, coming from 7 different countries: India (3), Sweden, Hungary, Germany, USA (3), South Africa, and myself from Belgium. We will go to the city of Xia Men in Fujian. The city is located along the southeast coastline, facing the island of Taiwan. We will work on projects under the leadership Digital Opportunity Trust (DOT), a leading international organization, headquartered in Ottawa, Canada. I learned so far that DOT focuses on creating educational, economic, and entrepreneurial opportunity through the effective use of ICT for communities and people in countries that are developing, are in transition, or are under stress. Read more about CSC will take me to Xia'men - 厦门 - in China ! Is the Cloud Game Over? I started four years ago to engage with telecom customers on positioning streamed gaming. The concept consisted in hosting the gaming hardware in the network center and streams the game graphics as a video stream to the gamer at home over the IP network on his TV. Hosting of games is therefore sometimes called 'Games in the Cloud'. 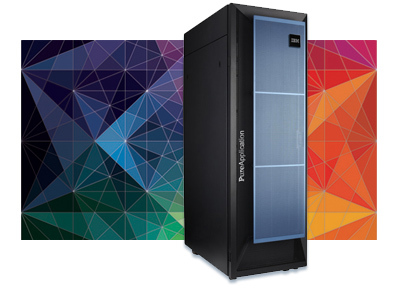 At the network center we planned an Intel based server farm with powerful hardware graphics accelerators. At the consumer side we used a simple game controller connected to the TV-set, which had a small driver to capture the controller’s commands. We did successfully initial proof of concepts! Although we did a very good job, major concerns were expressed on the impact of network latency on the gaming experience and impact of the traffic volumes on the network. After endless discussions on end-to-end network latency we ended up in discussing which kind of games can should be targeted. As on the one hand side the low-end / casual games could run on the setup-box, on the other side high-end games require graphical real-time rendering performance as brought by gaming consoles. This leaves the opportunity for streamed gaming to the middle spectrum of family games. The wish of telecom providers is to provide games with high interactions, e.g. 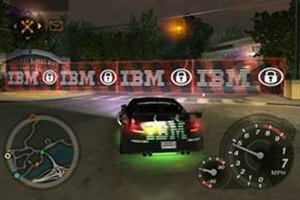 car racing games, but network latency can cause the user a bad gaming experience. A unique point of gaming in the cloud is the ability to play multi player games over the network without dedicated infrastructure, for example playing a racing game against your friends in the same session. Beside technical concerns there were also business concerns, or on how to monetize a gaming service. Game developers are reluctant to give margin away; in particular as their income lowers as the games are not sold but rented. Read more about Is the Cloud Game Over? You can read the details of the steps in my previous blogposts. Last but not least, let me now take you through the final three steps. The first level is the changing the organization. For the organization implies moving to cloud a change the way operations are done, the way you are organized. Without such change you can not exploit the full benefits of cloud. Operational tasks such as management of the environment, provisioning, monitoring, and scaling become either obsolete or automated. This and many other things impact drastically the organization, in such a way that the role of the IT organization shifts from ‘operations of IT’ towards ‘manage IT integration’. IT departments gradually become the integration point of IT business services. There is a generational difference between those managing IT environment for years and youngsters grown up with cloud services. Those managing the IT environment have gained the experience of years, are familiar with what they do, and avoid changes towards non-proven technologies or non-proven ways of working. Young people are more familiar with cloud, due their consumer experience and less reluctant to adopt cloud. Unfortunately, young people are frequently not at the decision level. People are reluctant to change, as they are moved out of their current comfort zone. Changing to something always new creates discomfort; it is natural that people will try to avoid this. In particular people in day-to-day operations will be impacted, and thus create resistance. Cloud computing is perceived as a buzzword or a temporary hype. It is associated with free consumer services available on the internet. Over the past years have these free services have been in the press with a negative impression, due to security incidents (e.g. stolen credit card data), loss of data (e.g. outages), or fraud (e.g. abuse). Therefore, cloud services are perceived as something of low quality, which are not appropriate for the professional environment. Although, business cloud services are backed by a mutual agreed contract and have a defined service level agreed upon, the perception remains. The successful implementation of cloud will be dependent on multiple factors. Building the appropriate organization, able to support the cloud and to exploit the cloud capabilities, is a key factor to obtain success.